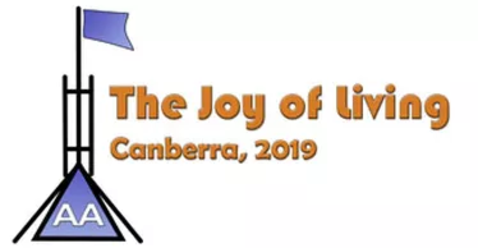 The Joy of Living is the theme of our Twelfth Step and is also the theme for the 2019 National Convention of Alcoholics Anonymous. 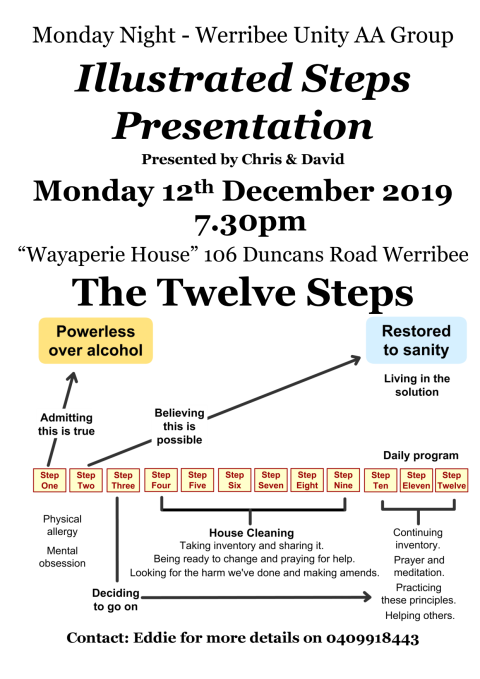 Guest speakers across Australia and New Zealand sharing their experience, strength and hope through the 12 steps of AA. 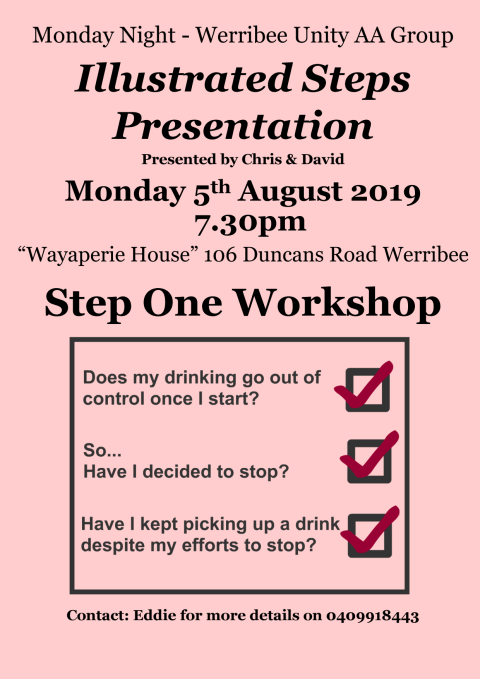 Topic: What was the immediate effect of step three? 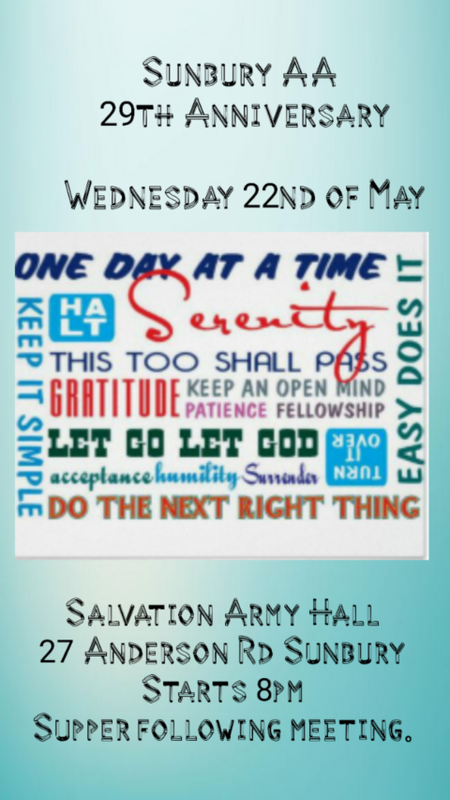 Traditions Meeting is held on the last Monday of each Month. 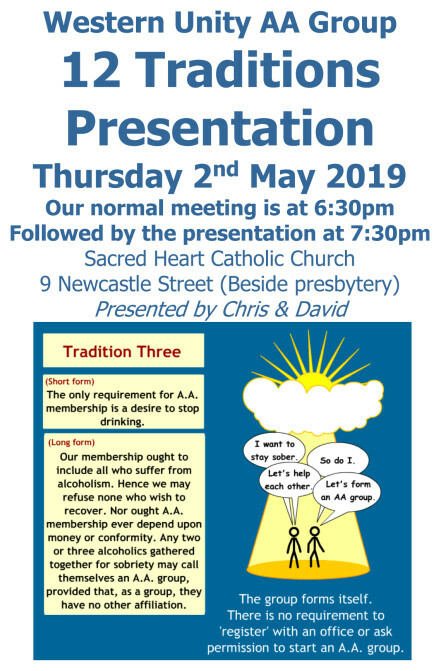 We use a short reading from “Twelve Steps and Twelve Traditions” then members share on their experience on a particular Tradition. 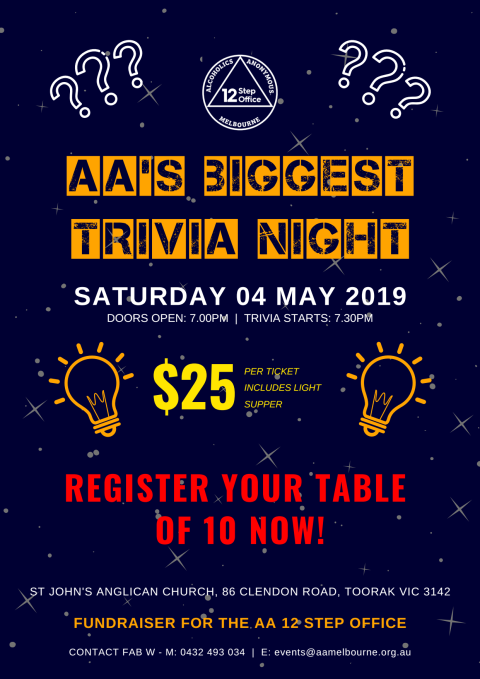 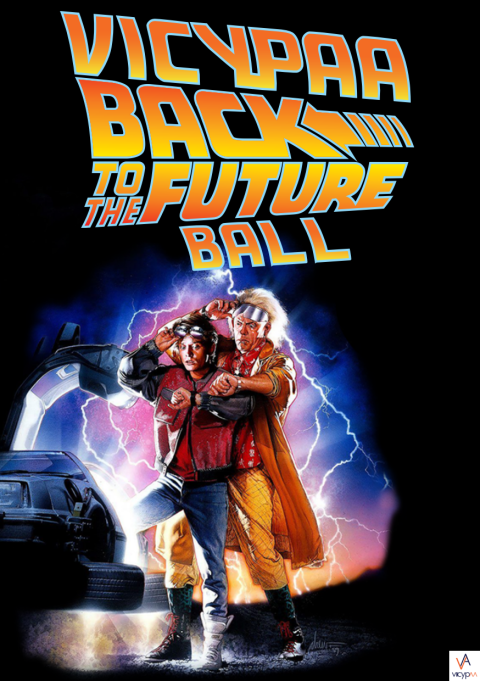 Last year’s Trivia Night fundraiser for the AA 12 Step Office was a sell out, so register your table of 10 members now to avoid missing out! 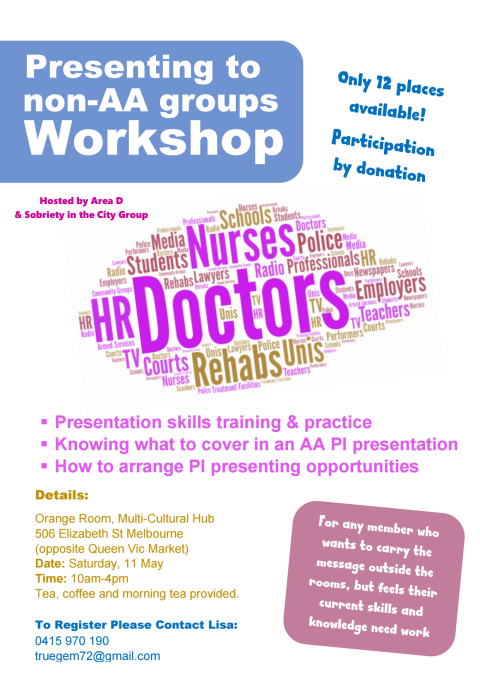 Doing public information - a full day workshop on presenting to non AA audiences. 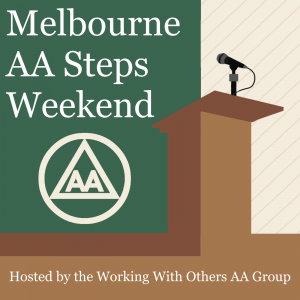 This is for AA members who want to carry the message outside the rooms by speaking to non AA groups, but lack the confidence to do so. 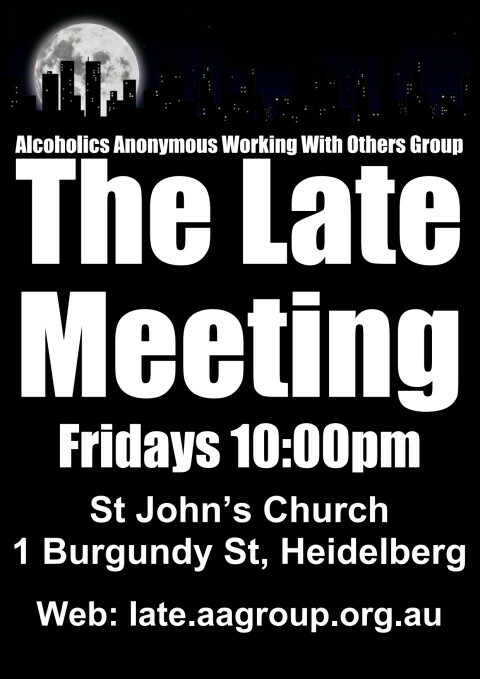 Each week we use a short reading from “Alcoholics Anonymous” (the Big Book) then members share on their experience on a particular Step. 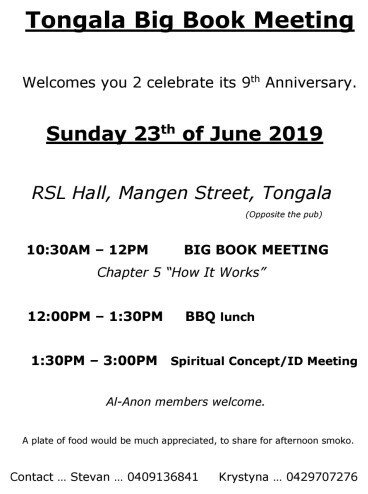 District meeting is held on the 3rd Tuesday of every month. 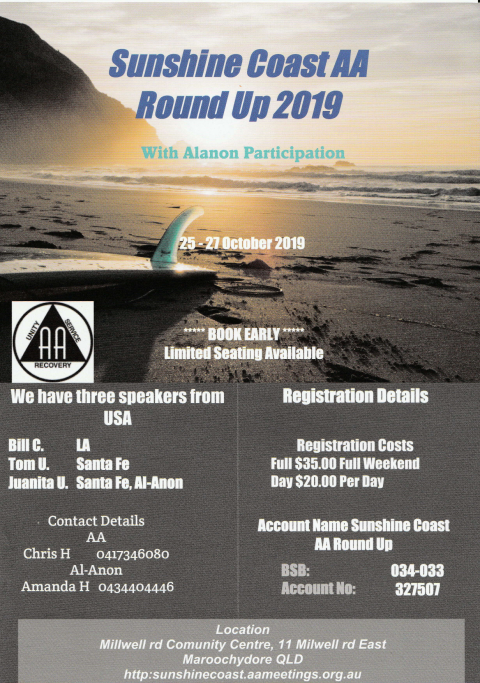 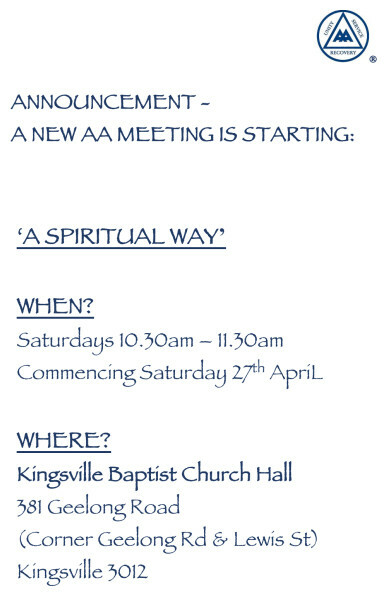 All AA group members welcome. 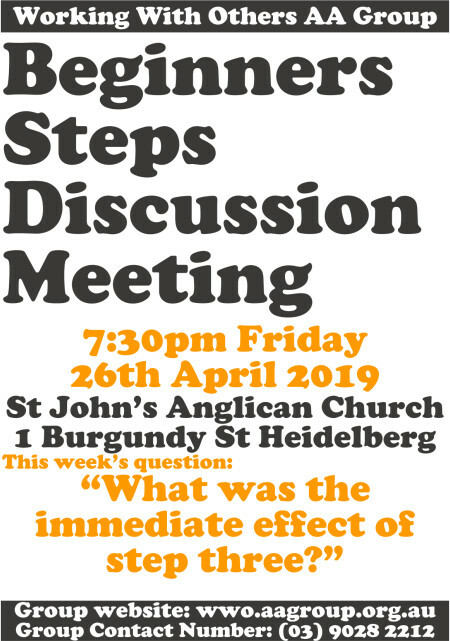 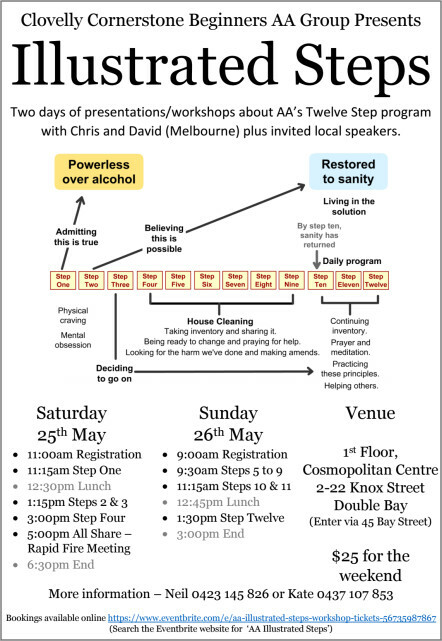 Two days of presentations/workshops about AA’s Twelve Step program with Chris and David (Melbourne) plus invited local speakers. 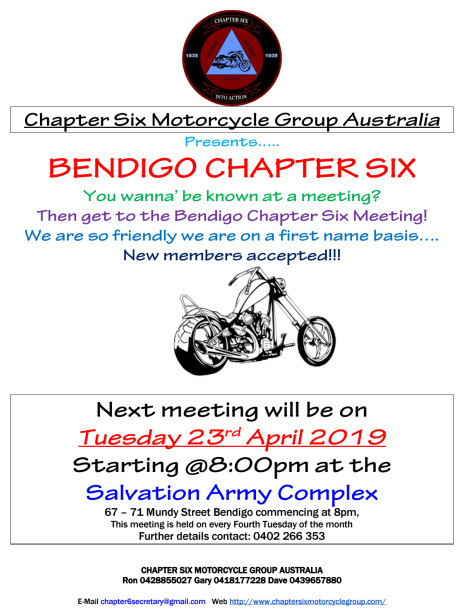 First meeting Friday 7pm. 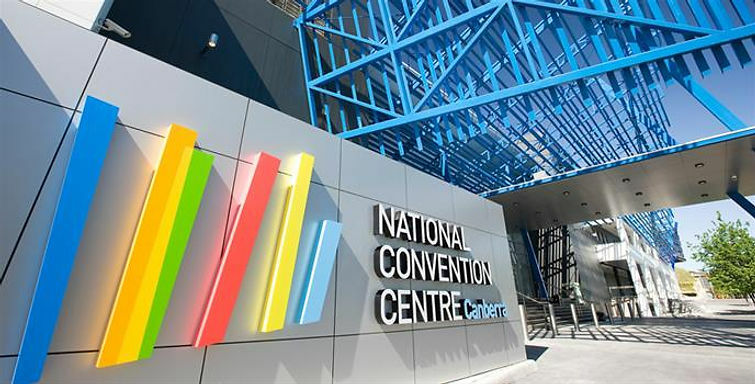 Meetings and activities all weekend. 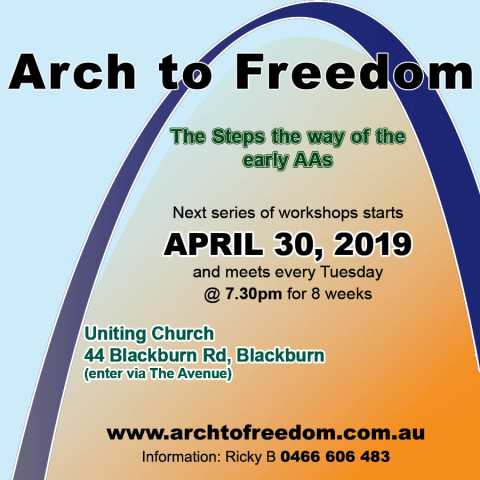 This is an option extra day of free workshops in the traditions & concepts and is available at no cost to all AA members, area delegates, group GSRs, trustees etc and especially those interested in service. 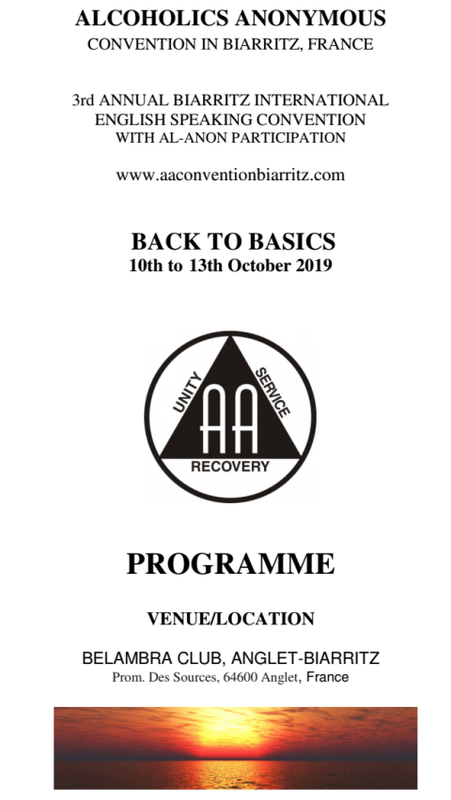 Commences at 10am with registration from 9.30am. 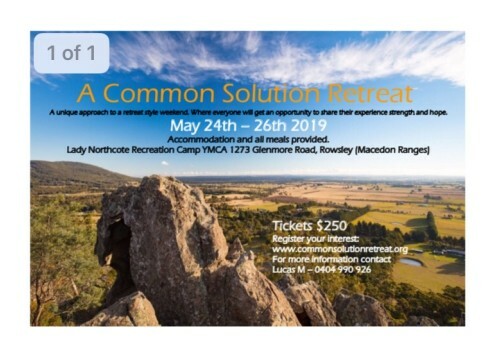 A yearly weekend 12-step workshop held in the beautiful Gold Coast hinterland. 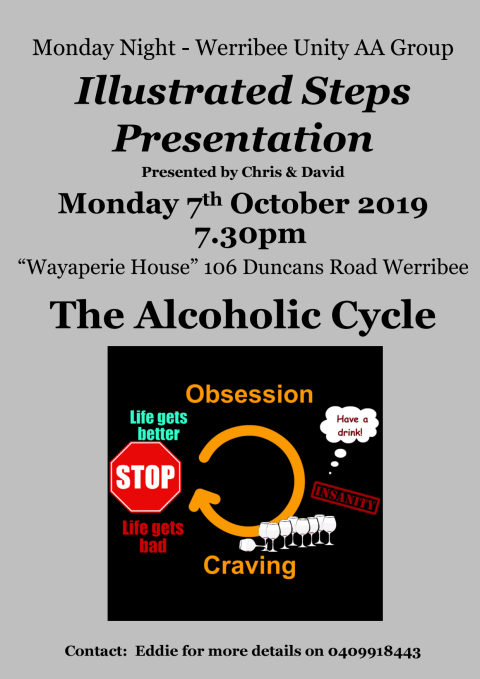 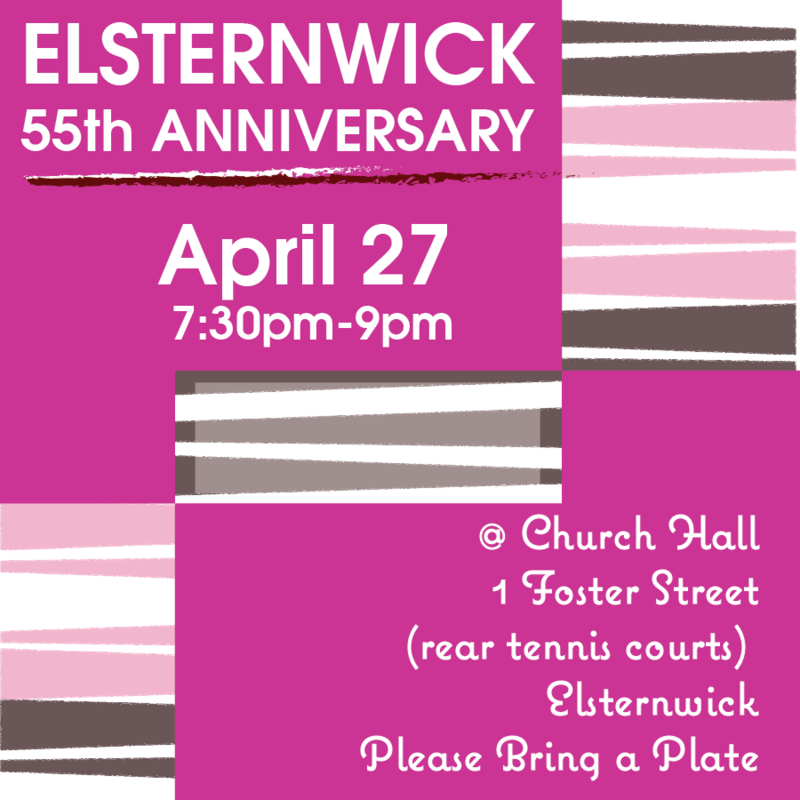 This event is dedicated to helping men achieve quality sobriety. 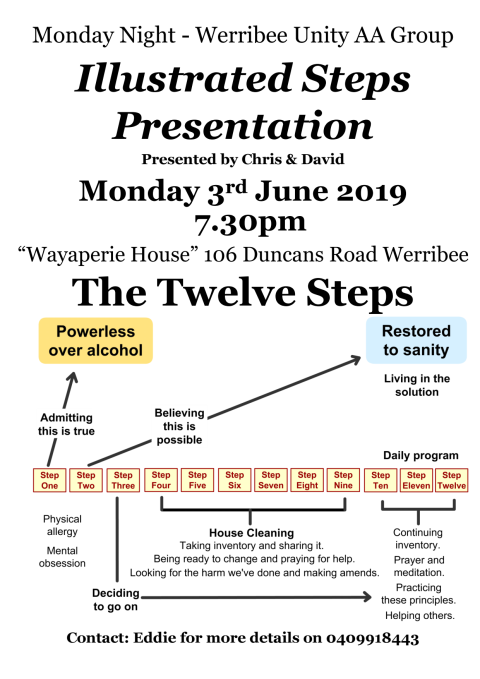 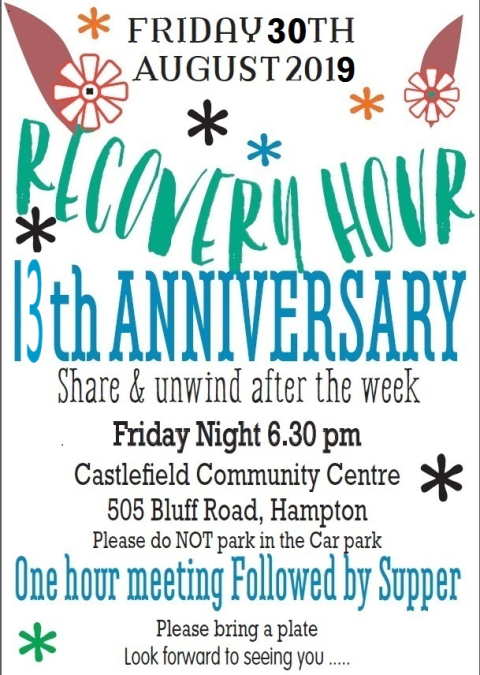 If you have been through the 12 Steps and feel you could use a refresher, or that a weekend of sharing and fellowship would benefit your sobriety, then join us!